Any amount due or received by an employee from an employer or former employer during the financial year ending 31st march will be chargeable to income tax in the next assessment year following the financial year. For example if your financial year ends at 31st march 2013 (i.e. income generated during the financial year starting from 1st April 2012 to 31st march 2013) and an amount falling with in the purview of “Salary” is due or received from your present employer or former employer then that amount will be taxable in the assessment year 2013-2014 (i.e. the year starting from 1st April 2013 to 31st March 2014). When you worked for a company during the previous year and moved to another company in the same year, you need to disclose the amount of salary you received from the previous employer and the TDS that has been deducted from your salary to the new employer in a IT declaration form. On the basis of your declaration your new employer will be deducting TDS from your salary. At the end of the year you need to calculate total salary that you received from both the employer and the tax liability accordingly. If the income tax you calculated is more in comparison to the TDS that has been deducted by both the employer then the balance has to be paid along with interest as may be applicable to you. If you have declared your salary and TDS deducted amount to your new employer correctly then you may not be paying any tax as your new employer has already taken your total salary amount while calculating TDS. What will happen if I don’t disclose my previous employer salary to the new employer? If you don’t disclose your previous employer salary to the new employer then your present company will be considering the salary you receive from them as the only income of yours by which they will be deducting less income tax. At the end of the previous year, to pay income tax you need to consider both the salary and need to calculate income tax on that. While doing so you may require paying interest and penalty for the income tax amount that you have not paid till the date of making payment. 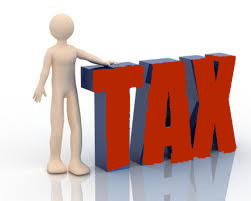 Disclose correct salary and the TDS that your employer has deducted to your new employer. At the end of the year calculate the amount of income tax liability and if any thing you need to pay then pay that immediately to avoid interest penalty.